As Ontario continues to grow and expects to add another three million people in the next 20 years, the pressure on transportation networks increases, straining existing roads, highways and public transit systems. 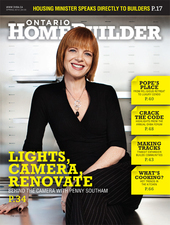 But after decades of under-investment, the province is now playing catch-up. Through Metrolinx, a provincial agency responsible for GO Transit and strategic planning for the Greater Toronto and Hamilton area, it will be spending $50 billion over the next 25 years to put Ontario back on track. 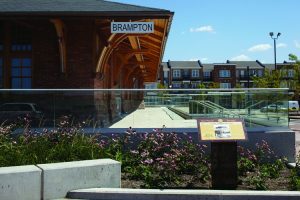 The same trend is apparent along the GO rail line between Georgetown, Brampton and Toronto, with concentrated development around each station. 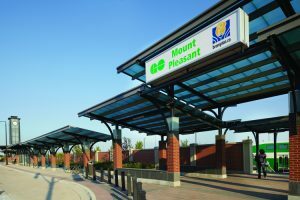 “People want to be close to a station, either within walking distance, a short drive or easy access by local bus,” says Smith, adding that Oakville is another vivid example, as each day tens of thousands of people take local buses to the GO station on Trafalgar Road. A so-called mobility hub is one way to foster development, says Leslie Woo, vice president, policy, planning and innovation for Metrolinx. With about 20 in the planning stages, these hubs will feature the intersection of several rapid transit lines where land use can be maximized. For instance, the Bloor-Dundas intersection in Toronto ties together the TTC subway and bus service, Air Rail Link connecting the downtown with Pearson International Airport, and GO train to Georgetown. “There’s quite a lot of convergence there. And there are also opportunities in terms of development of adjacent vacant land. There’s high potential for more mixed-use development. It’s more than just a transit station,” says Woo, referring to The Big Move: Transforming Transportation in the Greater Toronto and Hamilton Area, which articulates Metrolinx’s 25-year regional transportation plan. 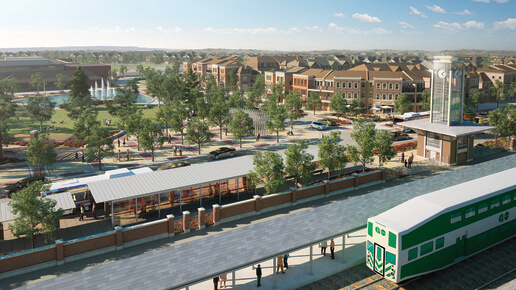 In a similar vein, Metrolinx is working closely with the Town of Oakville and Infrastructure Ontario to find ways to maximize the mixed-use development of a parcel of downtown land. “The key for Oakville and us is to set up the infrastructure and planning mechanisms to make it attractive for that type of development. If we create the right conditions and put the right incentives in place, then there is no reason why it couldn’t happen sooner rather than later,” Woo explains. 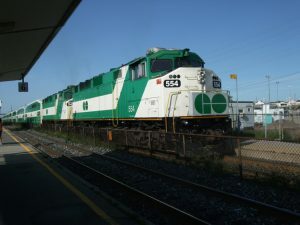 Built at a projected cost of more than $800 million, the system includes a train that will cover about 19 kilometres from Conestoga Mall in Waterloo, through the suburban business parks, the downtown areas of Waterloo and Kitchener and continue to Cambridge, where passengers will board a bus rapid transit system that extends about 17 kilometres to the southern end of Cambridge.